Provide clean water, sanitation and hygiene to all Zambians having to walk 6 kilometers per day, carrying contaminated water. Or choose to do our new ‘distance’ 6K walk using the same traditional route with extensions in Foothill Park. 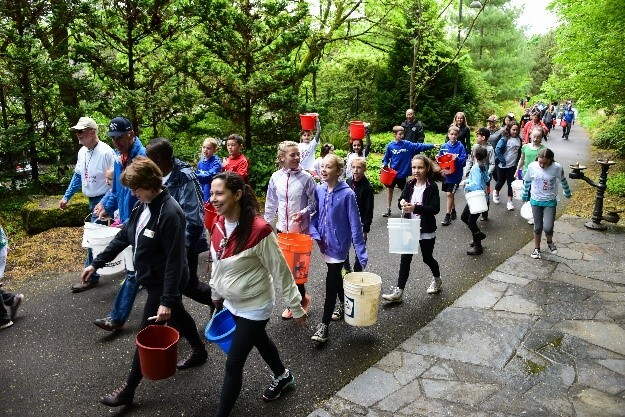 These walkers will not carry water but ‘go the distance’. 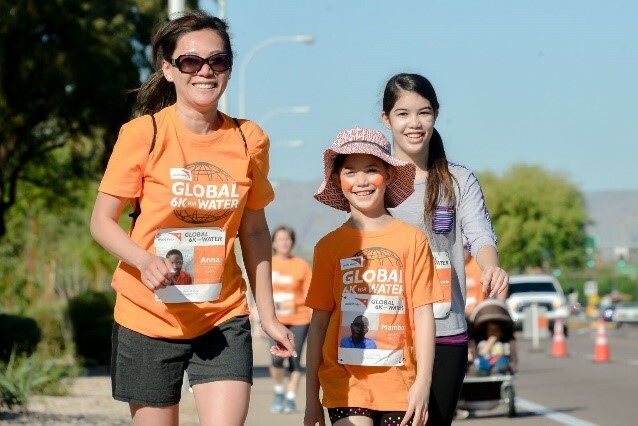 Our walk date of April 21, 2018 is earlier as we were unable to coincide with the World Vision May 19, 2018 Global 6K date. Location: event starts at Lake Oswego Foothills Park. Registration fee is $50 per adult and $25 per child. All walkers should be ready to walk at 9:00am for opening ceremonies. All walkers should finish by 10:45am. Celebrations to follow. Registration Kits will be sent to registrant's address shortly after registering. This will include a walker’s bib with a photo of a child yet to receive clean water. Registrant will be walking for such a child. Parents registering children, simply add them as an additional participants when you register, using your email. All fees go 100% to the WaterAfrica Zambia water projects. Donations are always welcome on our website or directly to WaterAfrica, PO Box 2012, LO, 97035. Corporate Sponsorship: see details here or contact Tedd Tritt at tedd.tritt@gmail.com. Sponsors will be recognized for your special support of WaterAfrica. Child Walk Sponsorships: In the spirit of the 6K distance walked daily by Zambian children, providing water for life for 6 Zambians is $300. All families and groups reaching a total donation of $300 will be recognized as special Child Walk Sponsors. Further explanation and details here. All sponsors are recognized on our website and on the day-of-event. See our W4W11 sponsors here. Share the post "Walk4Water11 + Global 6K"